Grand Bassa County – Normal working activities on the Liberian Agricultural Company plantation in Grand Bassa County were disrupted when scores of angry relatives and kinsmen of a missing man stormed the company’s head offices. The residents demanded that the company, which is the second largest rubber plantation in the coutry, provide answers concerning their missing relative while also calling for increased efforts to search for him. 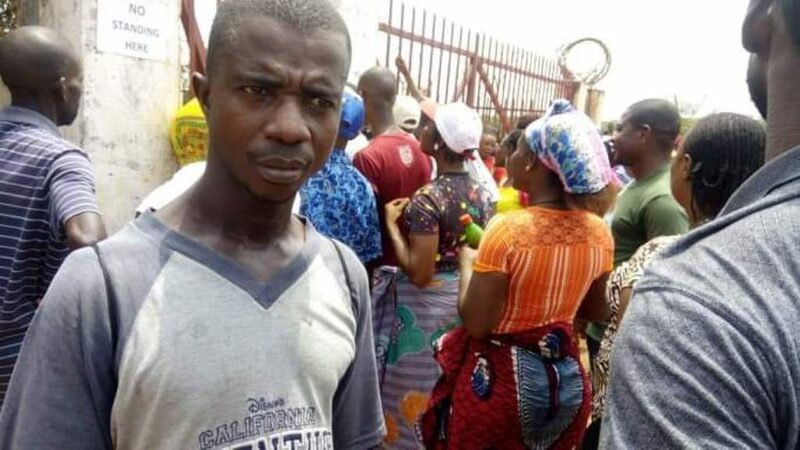 Fallah Kettor, belive to be in his mid 40s, is an employee of the rubber company’s factory department, who had gone missing after he reportedly walked out of the company’s hospital compound at 3 Am on Sunday, March 24. He has since not been seen, something which prompted his family members and kinsmen to storm the company’s head offices on Tuesday. According to sources on the plantation, Kettor was admitted at the planation’s main hospital for a week and was being treated by the medical saff before he went missing. The only plantation security guard assigned at the health facility when the incident reportedly occured, told authorities that the missing man might have used the back entrance because he didn’t see him leave the premises. Kettor, who is a full time employee, is covered by free medical services provided by the company – this means he could not have absconded as a means of evading the medical bills he had incurred. Family members alerted the hospital, prompting a search that started Monday but he was still no trace of him. Tension is increasingly very high as he remains missing for the third day, said a resident. The missing man situation has sparked outrage from hundreds of people of the Kiss tribe, which is one of the largest tribal communities on the plantation. Many of them are employees if the company. One of them told FrontPageAfrica via mobile phone that Kettor has been reported missing just as the Kissi community recovers from the death of one of its kinsmen, who had fallen from a moving yellow machine and died days later. The accident occurred in early February and it also sparked outrage amongst several residents, who blamed the company for its poor safety measures provided for workers. On Tuesday, many of the angry residents demanded that the company takes more seriously the search of their kinsman. Residents of the plantation told FPA via phone that the tension is still very high and it is more likely that there might be more reactions from the families or kinsmen if he is not found in the coming days. As the tension brewed Tuesday, the mangement of LAC was constrained to request more Police Support Unit officers who were brought in from Buchanan to avert any ravaging of its facilities. The police, according to eyewitnesses, reportedly intervened and temporarily eased the tension by persuading the angry residents to agree and go home so that the search continues. Meanwhile, FPA has gatherd that residents are also pointing to poor security system at the hospital. Some residents say the presence of only one plantation officer assigned at the hospital exposes patients to nightly risks. FPA made frantic efforts to get a statement from the management about the Tuesday’s standoff at its main plantation office, but when this paper contacted its Human resource Manager Harry Attoh via text messages and calls, he ignored all the inquiries. The LAC plantation located in District Four, Grand Bassa County is the second largest in the country but has often come under fire for alleged bad labor practice, while the plantation has also struggled to deal with a wide range of stereotypes including alleged ritualistic killings. Liberia: Who Was Gwendolyn Dabah Wilson, Second Victim in Crash That Killed Rep. Adolph Lawrence?